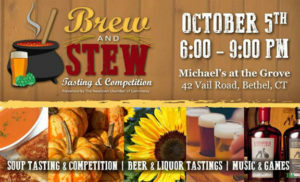 What happens at the Brew and Stew Tasting & Competition? Purchase your tickets online before the event and save money! Sample the trademark soup, stew or chowder from local restaurants and vote on your favorites! Enjoy music, games, raffles and much more! 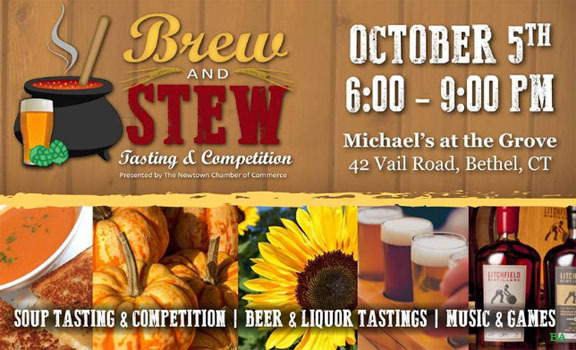 Sip on beer from local breweries in between food samples! Try some of the best bourbon, gin and vodka made in CT by Litchfield Distillery! Moonshine tasting also provided by Onyx Moonshine. There will also be water and non-alcoholic beverages. A cash bar will be available. This event is 21+ only. No exceptions! If you’re interested in sponsoring, participating or competing in this event, please email Alyssa at acanfield@jantris.com.